BENGHAZI (Libya) (Sputnik) - The commander of the Libyan National Army (LNA), Khalifa Haftar, will not take part in a conference on the Libyan settlement to be held in the Italian city of Palermo November 12-13, a source in the LNA told Sputnik. "Commander-in-chief of the Libyan National Army, Marshal Khalifa Haftar, will not attend the upcoming conference that will be held in Palermo, Italy, on November 12-13, in order to find a solution to the political and security crisis in Libya," the source said on Saturday. The previous international conference on Libya took place in Paris on May 29 and was attended by the four main leaders of Libya — Haftar, Sarraj, as well as Aguila Saleh and Khaled al-Mechri, leaders of rival parliamentary assemblies. During the conference the sides agreed to hold nationwide parliamentary and presidential elections in December. Haftar had earlier confirmed his participation for the upcoming conference. Russian President Vladimir Putin and US counterpart Donald Trump were invited, as well. The Kremlin announced, however, that the Russian president was not scheduled to attend the conference. On Wednesday, media reported, citing Libyan Army press service, that Haftar had arrived in Moscow to meet with Russian Defense Minister Sergei Shoigu. 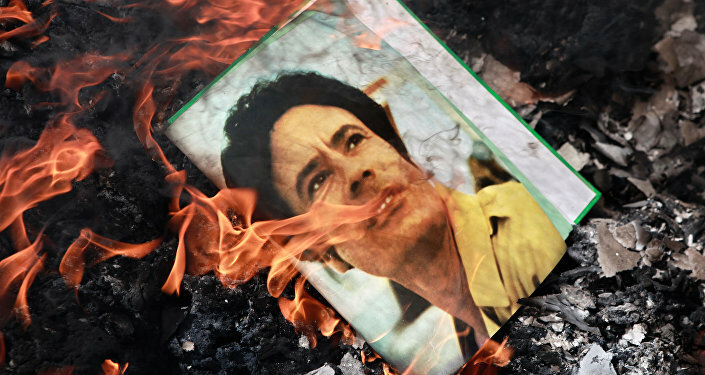 Libya has been suffering from a civil war since 2011. Two rival governments are struggling for control over the country. Libya's eastern regions are governed by a parliament headquartered in the city of Tobruk, which cooperates with the Libyan National Army headed by Haftar. The Government of National Accord, formed with the support from the United Nations and Europe, operates in the country’s west, including in the Libyan capital of Tripoli. The lack of the single central government and army in Libya resulted in a surge of trafficking activities and the development of militant groups and terror organizations in the nation. Libya is also a major gateway for northern African migrants attempting to cross the Mediterranean and settle in Europe, one of the main reasons for the European migration crisis in recent years.